So, as I have been wont to say, we do not all have the option to just snap our fingers and get the kitchen of our dreams. Some of us have to make our dreams fit into the space and budget we have available. No shame in that! I found this excellent article from HomeRemodelingBlog.com that discusses the best ways to get as much as possible out of that not-quite-big-enough kitchen. 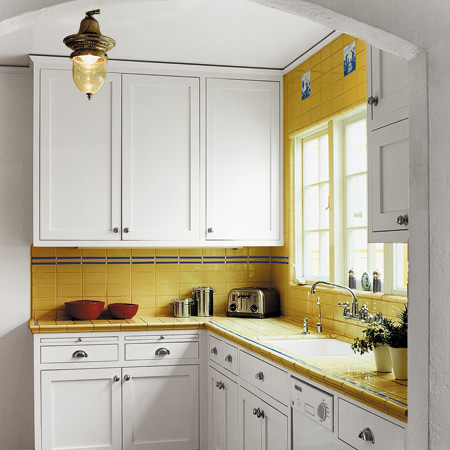 Don’t live in quiet, barely controlled frustration – make that kitchen work for you. Some of the suggestions made by the Home Remodeling blog are listed here. The numbers and titles are from Home Remodeling. The comments are mine! 1. Have someone assess the space that you have. I love this idea. When you have lived in a house for several years you may be focused too much on what you do not have. A fresh set of eyes can look at that space and come up with some great ideas on how to fit most of what you want into it and make it look great. 2. Only settle essential things. This is a good one too – they emphasize simplicity over complexity. Read it, it has some great ideas. 3. Mount you appliances on the walls. This speaks for itself. If that microwave is on the wall, its not on the counter, right? 4. Add hooks or railing on the walls. 5. Purchase a cart on wheels. Move it around, enough said. 6. Get rid of bulky things. Get rid of the clutter – stuff you don’t use but have a hard time getting rid of. Take a deep breath and do it! 7. Make your oven multipurpose. Recommends storing pots and pans in the oven; when you aren’t baking that is. 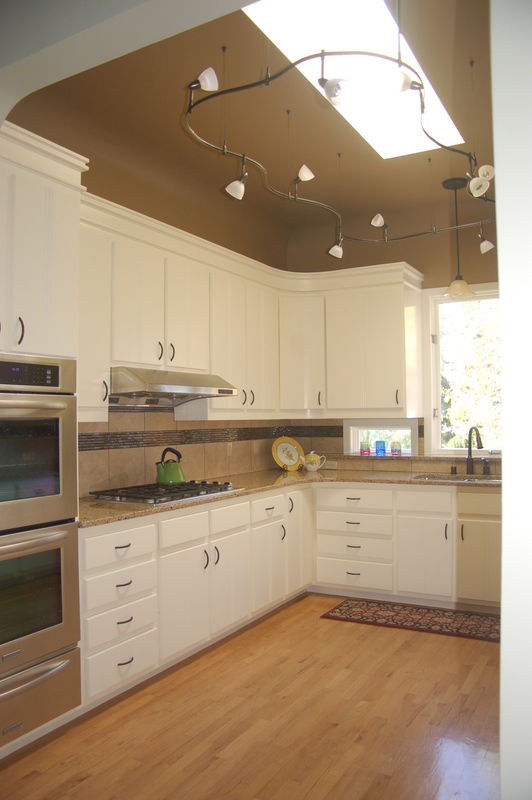 Don’t forget; get an experts opinion and then get ready for your kitchen make-over.